Appendix K: Venus and Epidemics. Venus has been implicated in the Spanish Flu epidemic of 1918 (the influenza pandemic). The suggestion is that the Sun, Venus, and Earth had been in line a month or two before the first, non-lethal, wave of the epidemic struck in the spring of the year. 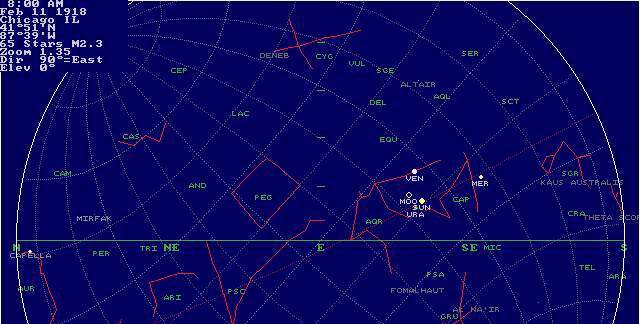 The second, very virulent, wave struck in late August and September, with a peak in late October. The mechanism would be the solar wind's protons, which are focused by the very long tail of Venus's plasmasphere. NASA has identified the tail of Venus as "stringy" -- clearly identifying it as a Birkeland plasma current in high dark mode. The protons are traveling in excess of 2 million miles per hour (3.2 million km per hr) on reaching Earth. Although they do not penetrate materials at that speed, they could damage cell structures and could cause changes in simpler forms, like viruses. As likely is that the increased inflow of particles changes the electrical characteristics of the upper atmosphere and allows a wider dispersion of viruses or bacteria. Venus passes between Earth and the Sun frequently (five times every 8 years), but since the orbits are tilted, the planets seldom are in a direct line with the Sun. Additionally, although the plasmasphere tail (coma tail) of Venus is very long, it does not quite extend to Earth. However, it is possible for the Moon to fall into place in such a conjunction, and provide a remaining path to the circuit. Such conjunctions are less frequent, generally happening two or three times in a row, followed by an equal time span where this does not happen. The geometry is not as simple as suggested in the text above. Under normal conditions the Sun's protons which travel along the edge of the plasmasphere tail of Venus toward Earth would be deflected by the Earth's magnetosphere. The Earth's plasmasphere probably extends 20 Earth diameters into the space toward the Sun, (160,000 miles, 260,000 km). The Moon travels about 30 Earth diameters away from the Earth (250,000 miles, 400,000 km), and is likely to also have a plasmasphere "shadow" extending away from the Sun, toward Earth. John M. Barry, in The Great Influenza (2004), suggests an unusual mutation of the influenza virus for the virulent second wave which struck in September and October of 1918. Barry suggests that the almost simultaneous appearance of the influenza in the United States can be accounted for by human contact, specifically by cross-country troop movements. There was no inferior conjunction of Venus associated with the second wave which first appeared in September and October of 1918. The next inferior conjunction after February 11, 1918, was on September 14, 1919. At that time Venus passed the Sun at about 5 degrees off the ecliptic. 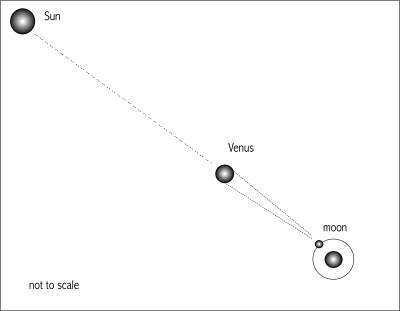 A new Moon only shows up a week and a half later, on September 23, 1919, at which time Venus was about 14 degrees removed from the Sun. A third wave of the influenza appeared four months later, in early February, 1920. But neither the second wave nor the third can be related to the movements of Venus. After the Asian SARS virus epidemic of 2002 - 2003, I checked the Sun-Venus-Moon positions for the months before the outbreak was detected. An inferior conjunction of Venus directly in line with the Sun and our Moon had happened about three months earlier. That condition (a three-month "incubation") had also been noted for the Spanish Flu epidemic by other researchers. A number of people have suggested a simpler process. They have suggested the existence of viral forms in the upper atmosphere of Venus. These would appear in Earth's upper atmosphere after being stripped away from the upper atmosphere of Venus by the solar wind, and their travel down the exterior of the plasmasphere tail. I will return to this further below. Earlier research by Donald Barber at Lockyer Observatory in England, reported in Perspective Volume 5 (1963), had shown unidentified bacterial contamination of photographic plates exposed (to the night sky) between 1936 and 1961 followed a pattern of appearing 30 days after the inferior conjunctions of Venus. The bacteria were picked up (apparently) during film processing, and were found in the local spring water supply (used in processing). Their appearance followed a wind from the north, and local rains. "At the height of each major 'invasion' irreparable damage to freshly processed spectrographic plates was caused by numerous quasi�circular crater�like defects (0.05 to 0.25 mm in diameter) from the centre of which the silver deposit had been eroded, and transferred to the perimeter. In a badly affected 1/4 plate negative some 5100 of these craters could be seen at low magnification (x15). In several instances the photographic film was completely liquefied and was seen to slide off the glass base intact." Because the damaging bacteria appeared in each case about 30 days after an inferior conjunction of Venus, and after northerly winds (actually winds from the northwest) and rain, Barber assumed that the bacteria entered the Earth's upper atmosphere (at the aurora borealis) with the solar wind after it passed by Venus. The 30-day delay is about equal to a terrestrial wind speed of 15 miles per hour (24 km per hr) from the auroral region. Barber further notes that these events only occurred nine times in a period of 25 years. Each followed an inferior conjunction of Venus and a simultaneous "geomagnetic storm," that is, an auroral display. Venus reaches inferior conjunction every year and a half. Bob Fritzius has plotted both the Venus inferior conjunctions and sunspot activity against the bacterial invasions. See below. Sunspot activity -- an index of the electrical activity of the Sun -- is difficult to relate to the bacterial invasions. Some pandemics are also shown, but also do not seem to be closely related to sunspot activity. Notice also that in some years nothing happened. Except in a few cases, the bacterial invasions all follow directly on the inferior conjunction of Venus -- shown as red lines -- and at times seem to "hold over" for a period afterward. In the chart below I have listed the inferior conjunction of Venus for the period of 1930 through 1961. For each of the inferior conjunctions I have listed if a new Moon appeared at the time of the conjunctions. The date of the new Moon was often a few days removed from the "official" date of the conjunctions, since the calculated date is taken as the moment Venus crosses the meridian of the location of the Sun in the sky. My conclusion is that an intervening Moon is needed for the electrical contact to Earth via Venus. Because the phenomena at Lockyer Observatory are dependent on the weather (as well as, apparently, on the freezing temperatures of winter), the failure of the phenomena to appear in some years does not depend solely on the inferior conjunctions of Venus. But the opposite can be tested: if the inferior conjunction does not coincide with a new Moon, the invading bacteria will not show at all. - in 1959 there is no relationship at all. Fred Hoyle and Chandra Wickramasminghe in Diseases from Space (1979) claimed a correlation of the severity of influenza pandemics with sunspot activity, and suggested that viruses or bacterial spores could be transmitted to Earth from the tails of comets and with streams of meteors. All four of these people are highly respected astronomers and their opinions are not to be neglected. 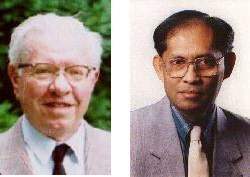 Chandra Wickramasminghe and Jayant Narlikar followed up with another paper in 2001, claiming evidence of bacteria captured at altitudes of 41 km above the Earth. But a pandemic influenza is viral, not bacterial. "Compared to Earth, Venus has a negligible magnetic field. That means that the solar wind can disturb its atmosphere directly, and can blow away fractions of its upper atmosphere (including airborne particulate matter) in comet-like fashion." This suggests the existence of life-forms in the upper layers of atmosphere of Venus, the only part of the planet which actually receives sunlight. At its surface, Venus is jet black. There is no light. Followers of Velikovsky suggest that, if these life-forms exist on Venus, they will have come from Earth during the near approaches in 2349 BC and other dates to 1440 BC. There were no "near approaches" as I have pointed out. I contend that Venus did not come to within 10,000,000 miles of Earth at these times. However, there have been periods in the past when the orbit of Venus extended past the orbit of Earth. Transfer of molecules (as ions) along the exterior double layers of plasmaspheres of planets is almost certain. We have clear indications of this for Mercury and for the Moon. This suggests that a transfer could have been made in the remote past, but not at these two dates. If organisms, originally from Earth, could be delivered back to Earth, it seems likely that bacterial spores and viruses would eventually also be found on the Moon and Mars. This would cause considerable rethinking of our biological uniqueness in the Solar System. Considering that the bacteria represent 80 percent of the biomass of Earth, and are found absolutely everywhere, it is quite possible that a bacterial transfer from Earth three or four thousand years ago could thrive in the Venusian upper atmosphere. It is highly likely that these forms would have mutated into many diverse species by now. But it is highly doubtful if bacteria would survive transport across 30 million miles of space. Viruses are the products of bacteria. They do not engage in energy transfers, reproducing instead entirely by intrusion into host bacteria (and other cells structures). Viruses could without a doubt survive a 30 million mile trip through space. Many forms seem to be almost totally indestructible. John M. Barry, in The Great Influenza (2004), one of the best and absolutely engaging books on the 1918 epidemic, spends early chapters in the distinction between viral and bacterial action, which could be considered a primer on the subject, although inconclusive in the admission that we know almost nothing about viruses, where they come from, how they operate, or what their purpose seems to be. My first reaction to the Swine Flu outbreak of April 18 - 24, 2009, in Mexico City, was to check for a inferior conjunction of the Sun and Venus at three months earlier. There was nothing three months earlier, but there was a conjunction about a month before that date, on March 26, with the Sun, Venus, and the new Moon at inferior conjunction with Earth. By April 27, 2500 cases were suspected among Mexico, USA, New Zealand, Canada, UK, Australia, and Spain, with 264 confirmed, and 152 deaths. The last were all in Mexico. Veracruz reported 1800 cases of flu-like symptoms by April 6; supposedly there were earlier cases since February (which may be unrelated). The earliest case dates to March 22. Mexico City reported "influenza like illnesses" as early as March 18, 2009. Typically, the strain is clearly spread by human contact. The World Health Organization confirmed on April 24 that the H1N1 strain has "never been seen before." If this new H1N1 influenza strain is due to Venus, it represents an unusually short incubation period for a SARS type virus. The alignment of superior and inferior conjunctions of March 26 (Mercury - Sun - Venus - Moon - Earth, with Mercury at superior conjunction), a month before the peaking of the 2009 Swine Flu outbreak on about March 24 is not unlike the alignment of planets on June 20, 1968 (Mars - Venus - Sun - Mercury - Earth), a month before the first outbreak of the H3N2 Hong Kong Flu of July 13, 1968. The Moon did not join this lineup until 5 days later, when Mercury had moved aside (Mars - Venus - Sun - Moon - Earth). The Hong Kong Flu reached maximum intensity two weeks after the first case of July 13, on July 27th. "It looks as though the swine flu pandemic of 2009 will go down as one of the biggest government and pharmaceutical scams ever, renewing a healthy, and necessary, skepticism about the swine flu vaccine and the dubious dealings behind the implementation of worldwide mass-vaccination programs." They could have asked me. Size of this page: 3041 words.